Have you always wanted to paint, but didn't know where to begin? 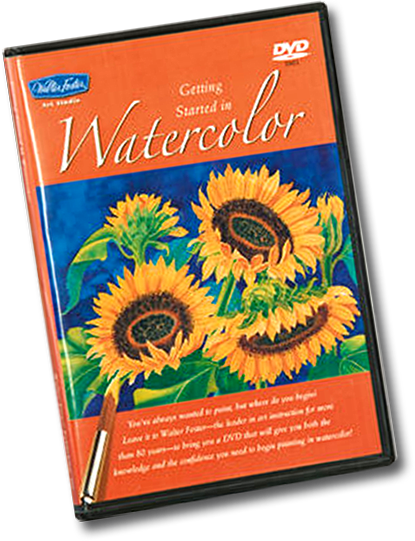 Joan Hansen stars in this 60-minute DVD, and explores everything beginning artists need to know before they begin to paint—from selecting basic materials to creating special effects. In addition, Getting Started in Watercolor gives you the in-depth art expertise you would expect to find in a workshop—but for only a fraction of the cost. In no time at all, you will be approaching your own watercolor paintings with self-assurance and ease! (60 minutes) Awards: Craftrends Awards of Excellence 2006.